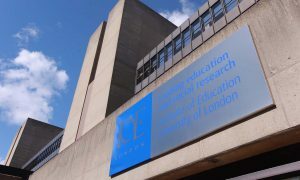 The Institute of Education (IOE) has joined University College London as a single Faculty School, to be known as the UCL Institute of Education. One advantage of the merger is that all five UK birth cohort studies will be housed together for the first time in history. The IOE’s Centre for Longitudinal Studies (CLS) currently manages the 1958 National Child Development Study, the 1970 British Cohort Study and the Millennium Cohort Study. UCL currently houses the oldest and youngest birth cohorts – the 1946 National Survey of Health and Development and Life Study, which started recruiting participants this year. CLS is also home to Next Steps, which follows 16,000 people born in England in 1989-90. Next Steps is often seen as covering the ‘missing generation’ between the 1970 and millennium cohorts. Findings from these studies have contributed to many of the most important social and medical insights of recent decades. They have also shaped government policy in education, employment, housing and health. Does this affect study members’ data? Collecting and storing study members’ personal information safely and securely will always be a top priority. The reasons why we collect your data will not change, and the measures we take to make sure that your information is held securely will not be compromised as a result of the merger. Study members’ personal information will continue to be in accordance with the Data Protection Act 1998, and will also be subject to the UCL Data Protection Policy. For more information on how we keep your data safe, check out our FAQs.